This EasySlots.com game is a simplistic game that takes some old school characteristics to build an opportunity to win some money without being over indulged in a lavish theme that distracts from the spinning itself. Of course, lets not lie to ourselves because we all love an eccentric theme with some animations and amusing bonus rounds. The overall message here is that there is still some great opportunities to win with traditional bonus features such as winning up to an impressive 25 free spins, wilds that substitute for other symbols. Eyecon may still fill your heart with a flutter here so don’t rush away from giving it a go! Eyecon are an Australian developer, based in Brisbane. They have been producing creative and energetic slot games online since 1997. Impressively, Eyecon have over one hundred slot machine titles in their library. They like to specialise in 3D animations which provide a particularly impressive casino game platform to engage with. They aim to immerse their players in their online games through areas such as this. As well as slots online, they also bingo games and casino games. Their experience never fails them and Eyecon are also developing some high-quality games for mobile devices. Heartbust can be played on desktop, tablet or mobile devices too! 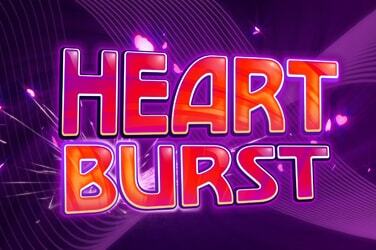 There is an auto play feature which makes it both simplistic and enjoyable to play Heartburst online. To benefit from the option to play auto play you simply select the amount spins that you wish to take then sit back and watch the reels do their magic! The game will stop when you either run out of funds or the number of spins you have chosen is complete. As mentioned above, there are some satisfying bonus rounds to get involved with! The free games round is activated when three or more of the traditional Lucky 7 symbols are landed on the reels. There are different amounts of free rounds up for grabs here, depending on how many of that Lucky 7 symbol are triggered. Three symbols are equal to 15 free games. Four are equal to twenty and five shell out a whopping twenty five free games! The heart symbols will appear on reels one, three and five and these are substitute symbols, substituting themselves for every other symbol in the game except for the lucky 7 symbol. It gets even better because when one or more of the beautifully full hearts acts as a substitute then the cash prizes awarded will be tripped as a slots bonus! This online slot game is great if you like a traditional approach to your spinning, without too many distractions. The best feature here is the opportunity to be granted up to twenty-five free games, along with that radiant heart that will substitute your symbols and put a smile on your face! 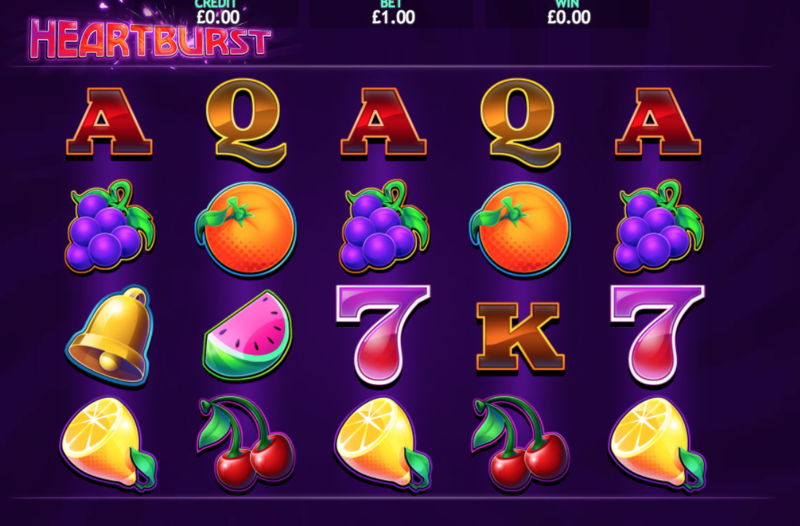 Heartburst is worth a go and its auto spin element makes it effortless to play and win, click here to play more games like it.